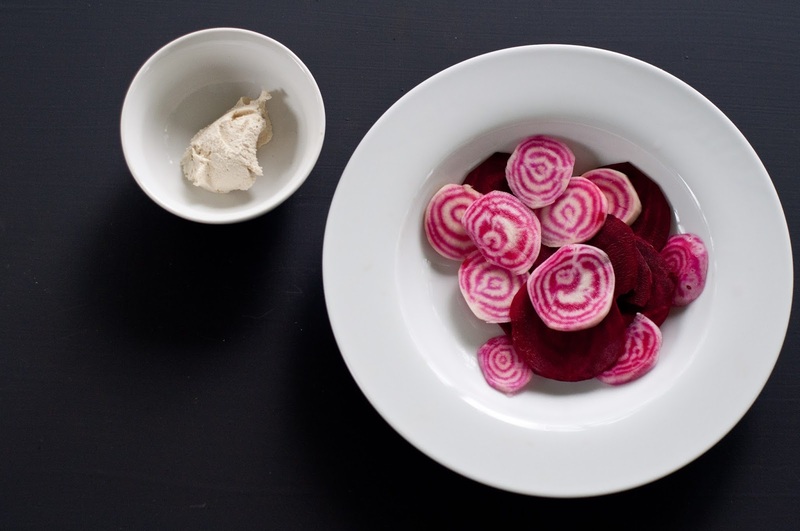 Beets and cashew butter are a strangely grand combination. It's actually a very fun idea for a crudite' platter, especially if you get fancy with your beets. 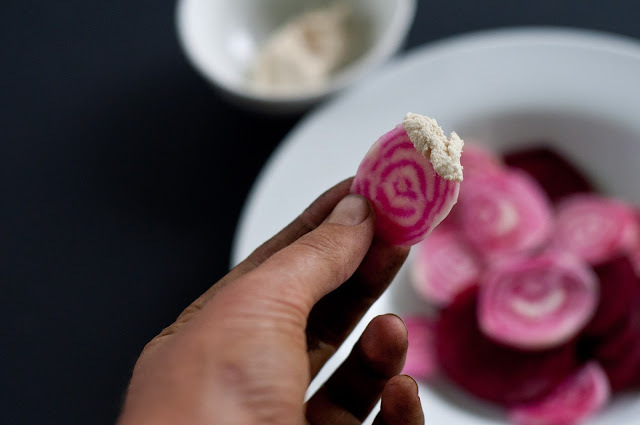 Chioggia beets (hot pink with white spiral) are a show stopper indeed! Wash and peel beets with a vegetable peeler. Grab some cashew butter and dip!